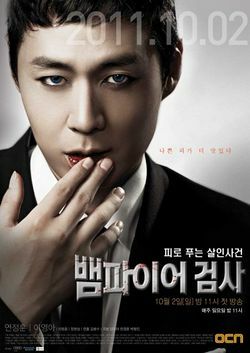 Prosecutor Min Tae Yeon (Yun Jung Hoon) is bitten by somebody and becomes a Vampire. Tae Yeon rejects the life of a vampire and he survives by drinking the blood of dead people and still lives as a righteous prosecutor. Tae Yeon also uses his new founded abilities as a Vampire to prosecute powerful persons normally thought above the law. A mysterious case then occurs and the evidence points to a Vampire as the perpetrator. Tae Yeon now knows that he is not the only Vampire. He also ponders why he became a Vampire and what truths may lie behind their motives.